New hair color is one of the more exciting things that can happen. 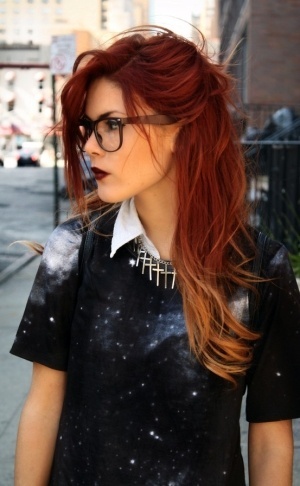 However, pretty soon after you color your hair, it can begin to fade away, losing it’s appeal and excitement. There are, however, some steps you can take to keep color from fading. One thing you can do to keep color from fading is to use hair products that are color-friendly. At The Hair Architect, our entire line of products is perfect for colored hair, because it uses earth-friendly and natural products that build hair to be stronger, rather than breaking it down with chemical-based fillers. Another important hair color tip: don’t go crazy with your new color-friendly products. Keep washing to a minimum, maybe once every two or three days so it won’t wash out. Even scrubbing with color-friendly shampoo will wash out some color. We all love a good hot shower, but it’s not the best for your hair. Try washing your hair in cold water so your follicles will better lock in the color. If a total cold shower is too much, try doing a cold rinse at the end of your hair washing to keep color from fading. It’s pretty common knowledge that heat hurts your hair, but we all use hairdryers, straighteners and other heat-based appliances to fix your hair every day. Try to cut back on using a hair dryer, and style it naturally when possible. If you do decide to use heated appliances, use a thermal heat protectant (such as Beaming) to add some protection from the extreme temperatures. Keep these tips in mind and it will greatly help keep color from fading quickly, saving you money on regular color treatments and trip to the salon. Be sure to ask your hair stylist what other tips they advise their clients to keep in mind after they’ve colored their hair. If you’re hunting for a great natural hair conditioner, look no further! The line of hair products available to you at The Hair Architect are made from the absolute best natural ingredients to provide you with happier, stronger, and healthier hair. Many hair products on the market today have harmful chemicals in them that make them look and smell nice, but eventually will dry out and cause damage to your hair. At The Hair Architect, we strive to be different. We don’t take shortcuts by adding a lot of harmful chemicals in order to fill the bottle. We use natural botanicals to help hair grow strong! The Foundational Natural Hair Conditioner is a product that will revitalize your hair, giving it back the levels of moisture that have been lost while using chemical-filled products. Made with argan, olive, avocado and bamboo oils, the conditioner softens hair, making it more luxurious and radiant. • Protection against damage from hair appliances such as hair dryers, straighteners, curling irons, and more! • Reduction of frizz, allowing you to enjoy silky and tangle-free hair. • More manageable and style-able hair! • Keratin formulation to give you not only strength, but also a beautiful shine! Shop online today at TheHairArchitect.com, and treat your hair to the strength and hydration that it’s been craving. It’s safe for all hair types, and won’t wash out color if your hair is dyed. For a limited time, all Hair Architect products are on sale! Check out the Summer Sale, offering up to HALF OFF all products online! Don’t miss this opportunity for amazing savings on some of the best all-natural hair products on the market!